Gregory Fencing is a family run business and was established in 1975. 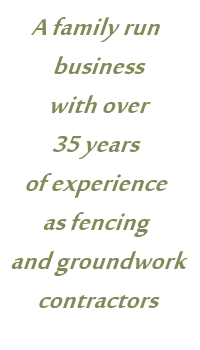 We have over 40 years of experience as fencing and groundwork contractors, who cover the area of Devon and Cornwall. Our clients include a number of large estates and farms, holiday homes and complexes as well as residential customers.